Cereals UK was ye again a great event, and some of the best-known UK companies joined together to exhibit at a new location near Cambridge, UK. An expected total of 26,000 visitors to over 500 stands made this annual outdoors exhibition a great time for all. In the “Post-Harvest Technologies” sections there were some great displays of machinery, products and services. 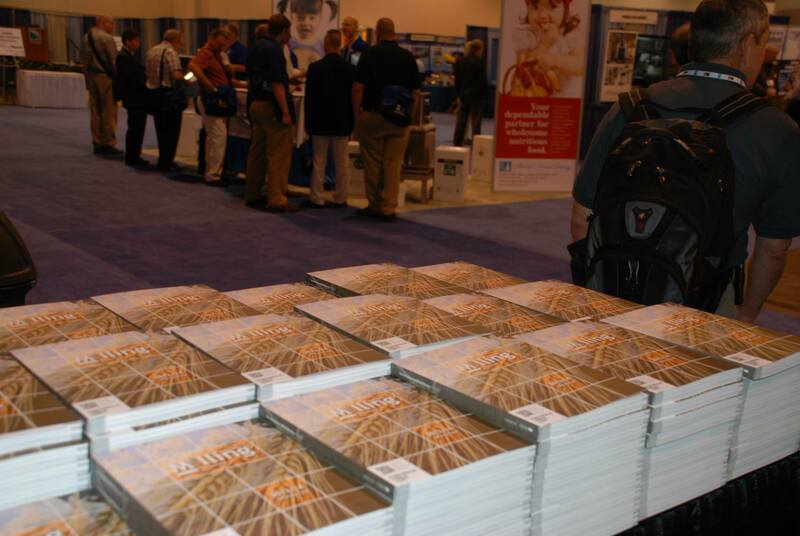 The International Milling Directory was distributed to many visitors and exhibitors there. Some of the stands we visited were: HGCA, nabim, Bayer CropScience, Chief Industries UK, DanCorn, Guttridge, Cropmech, Bentall Rowlands and Satake. The new animal feed section at HGCA’ s stand was of great interest to us at the International Milling Directory. There were some great pieces of information at the animal feed section, one advertised fact that 57% of UK wheat goes to animal feed seemed to be a very high number, that was assured to be true! nabim also were hosted again in the HGCA stand, they were handing out 500 gram bags of flour at their stand. 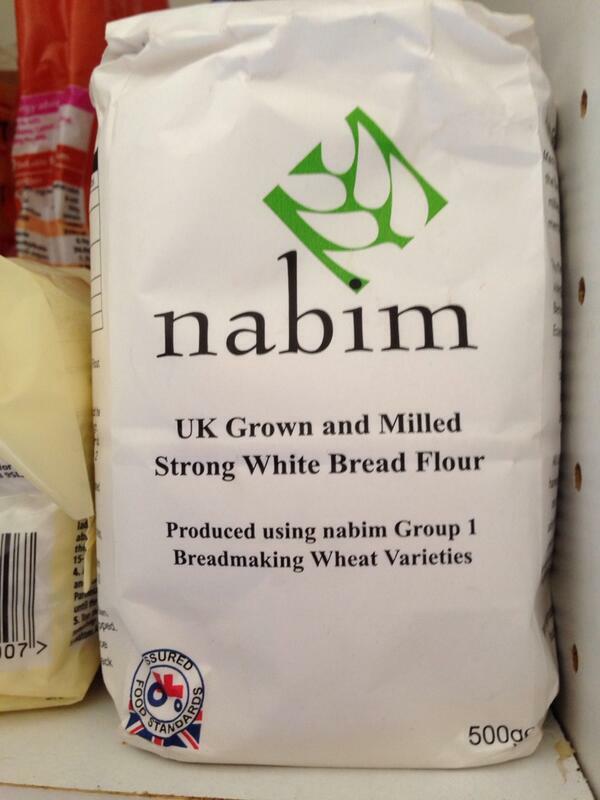 The UK grown and milled strong white bread flour was produced using nabim Group 1 breadmaking wheat varieties and was a great freebie. nabim, supported by HGCA, announced the three farmer finalists for the 2014 Milling Wheat Challenge at the Cereals Event on Wednesday 11th June. Now in its fifth year, the aim of the Challenge is to find the country’s best milling wheat grower. As in previous years, the standard of the entries has remained very high and the judges had a tough job selecting the finalists. Each of the finalists farm significant areas with wheat as their main crop. All three are forward-thinking, very technically competent and consistently grow quality crops of bread-making wheats. The Challenge has become established as a formal recognition by Britain’s flour millers of how the country’s best growers combine attention to detail with end-customer awareness and business acumen to create a win: win for the whole wheat chain. Judging of the three finalists will take place in June and July when visits will be made to their farms. Detailed discussions will take place with the growers themselves, their crops will be walked and inspections made of any storage facilities. The judges for 2014 are Martin Savage from nabim, HGCA Head of Regional Development Richard Laverick and Mark Ireland, a Lincolnshire farmer and “Farmers Weekly Arable Farmer of the Year 2009”. The finalists, together with leaders from the UK wheat supply chain, will be invited to a celebration dinner hosted by nabim at the Ritz Hotel in London where the winning grower will be announced. Darren Parris from the team here at Perendale headed to the IAOM annual conference recently . Between 19th and 23rd May, the worldwide community of millers, grain and feed professionals, manufacturers and service providers met in Omaha, Nebraska, USA for some truly great events, products and conferences. The International Milling Directory was there in force and three pictures highlight the role that hundreds of copies of the directory were distributed at the event. We always enjoy the direct contact and place in the centre of the milling world, and look forward to next year’s event with the latest edition. If you wish to register or update your company in the directory, just head to www.internationalmilling.com and start your membership in our great international resource. 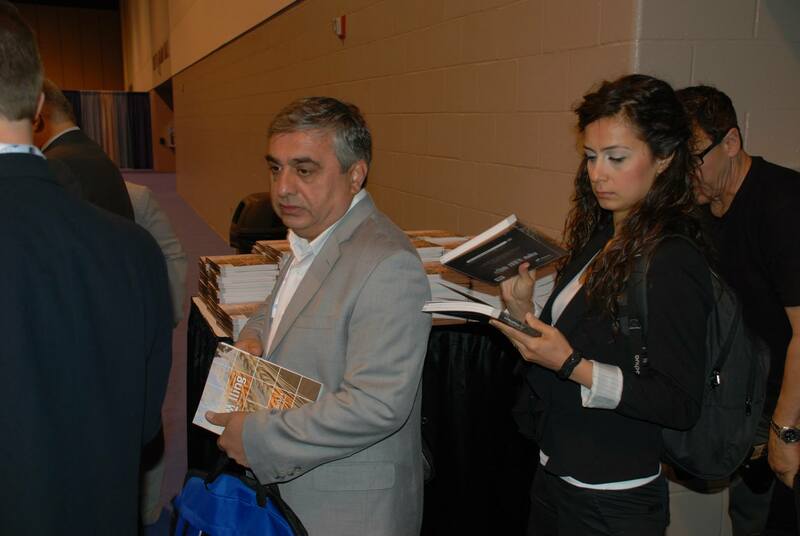 Exhibition attendees take a copy of the International Milling Directory each as they enter the hall. The CropTech-FeedTech knowledge programme which has now become internationally renowned will also be one of the highlights at VIV Europe. On Wednesday May 21st, CropTech-FeedTech Conference will take place. The developments in this field are progressing so rapidly and are so vital for the production of animal protein that this theme has attracted massive international interest. Within the central theme of ‘Sustainable intensification’ the production of animal feeds is essential. The quality of the feed is a spearhead because this has such a massive influence on the quality of the end products for the consumer. The feed component is also a significant factor for the cost price of meat, poultry meat and eggs. The production of efficient, high-quality feed is therefore a main topic at VIV Europe. The scientific world is discovering to an increasing level how the production chain can be managed by using technology and automation in these chains. It comes down to the ability to switch quickly between various protein-rich raw materials, depending on price and availability on the world market and tracking and tracing. At VIV Europe experts and exhibitors will be presenting their best knowledge and techniques in the field of feed production. Animal feed is also the theme of the opening congress on Tuesday May 20th. Exhibitors will be presenting all of the latest techniques and animal feed will be examined in depth. This will also cover topics such as ingredients, add itives and veterinary medication – the latter also being of major importance since there is a direct relationship between food quality and food safety. Please click here for more and a registration form. The International Milling Directory is glad to promote a video from The Grain Chain. The Grain Chain programme is a collaboration of the HGCA, Federation of Bakers (FoB) and Flour Advisory Bureau (FAB). It is the successor to the Flour and Grain Education Programme which was launched in 2002. The International Milling Directory always supports training and wishes to promote this further in any small way at all. Grainchain.com is a curriculum linked education resource for teachers and parents to inform school-aged children about the story of grain-based food – from the farm to mill to plate. Find tailored teaching materials, worksheets, videos, quizzes, recipes and activities about farming, milling and baking. The International Milling Directory today welcomed a new member, CropMech Ltd.
Cropmech Ltd have successfully installed the first DV hydraulic grain sampling spear in the UK, using the double suction Stork 440 Compact sampler at their grain storage site situated at Risdon Mill, near Okehampton, Devon. The sampler allows safety & ease of testing all cereals, flours, rice, seeds & straights with extreme rapidity without altering the quality of the product during sampling. With an option of two different probes, double suction & spiral, you can install the type of sampler suitable for your business needs. Register your company at www.internationalmilling.com today – from free – and join our 23rd year’s edition. 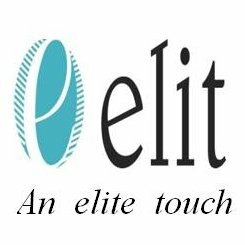 The International Milling Directory is pleased to welcome Elit as a new member. Elit started out as an enzyme, flour improver and technical bakery ingredients Istanbul, Turkey. They have amassed great resources, staff and knowledge and are currently also writing a specially-commissioned article for Grain & Feed Milling Technology magazine, to be published soon. As being a new organization, Elit Gida that has been taking place in the sector since 2004, is the conclusion of knowledge, experience and activities accumulated by the 15 years experiences. It displays activity in this sector regarding the subjects, starting from wheat to the conversion of wheat to flour, and coming to our tables as being various bakery products, and making up the technique and technological deficiencies and problems during these progresses. Solving of the problems regarding the wheat quality in the agricultural conditions of our country and providing of the flour standardization, are possible with a proper laboratory service and the developers, which were prepared according to the wheat variations. Our main working logic is to conflate the dynamics, which are necessary for proper production of the wheat in accordance with its purpose and to create synergy. We have been providing consultancy services to wheat manufacturers in our country and abroad as well as presenting wheat developers and additives as product to flour plants. For this purpose, in order to present the truest solutions to our customers in the shortest time, we will continue to be your reliable partner for solution of any kind of problems, regarding R&D Studies, presentation and selling with quality responsibility, within the borders those were generally accepted by the official authorities of the world and within the frame of the laws, with our personality opens to development and innovations and our expertise staff as well. Their website homepage, www.elit.com.tr is an interesting place and point of contact if you wish to find out more. If you wish to register your company online with the International Milling Directory, then please go to our International Milling Directory website for registration. Please also remember to update your membership here too! The International Milling Directory has been excited to hear from our colleagues in Bangalore, India at the close of the second and final day of the 2nd Global Milling Conference. This conference was held with delegates able to also visit VIV India, which was also in Bangalore in the same week. A report is below giving a great insight into how this conference went and a look ahead to the next one in 2015. There was great excitement on the closing day of the 2nd Global Milling Conference today when scientist Dr Sourav Kumar of the International School of Milling Technology at the Central Food Technological Research Institute in Mysore, India, announced the introduction of a new ‘milk’ product made exclusively from wheat germ and which can sell at one-third the current retail price for milk – and which has twice the nutritional content. Dr Kumar believes that this new product – which a team of 12 scientists developed over an 11-month period – offers India’s malnourished an affordable nutritional drink that will aid growth and development in children and help overcome health issues afflicting adults, such as staving off the development of cancerous cells. While there is a certain amount of skepticism associated with stories of this nature, on this occasion Dr Kumar samples of his milk product on display – along with a soup broth made from the same processed wheat germ and served to delegates at lunch – tasted like fresh drinking yoghurt. From our personal opinion, the muffin made from the same wheat germ product was rather dry but otherwise very acceptable! While feeding the world’s hungry might not be upper most in the mind of flour millers (but which this writer believes should be), there is an added advantage for millers who produce flour from this wheat germ product – the resulting flour has an extended shelf life when processed into bread and bakery products. Patents have been applied for the process involved as it is believed by the institute that this wheat germ product could have widespread appeal in many countries including those struggling to provide drinking milk for their populations and where flour milling is carried out. Grain & Feed Milling Technology (GFMT) website will carry a full report on this exciting development in the May-June 2014 edition. Meanwhile, some 95 people attended the first day of the 2nd Global Milling Conference and some 55 on the second day. Number were not as high as expected due to the Glance2014 (Global Animal Nutrition) Conference held on animal nutrition and involving feed manufacturing in Bangalore over the preceding three days. However, those who did attend heard from 20 highly quality speakers on topics ranging from millers and feeding a growing world population through to methods and techniques to avoid waste in the chain of production from harvest through to final product. Many of the presentations have been recorded on video and will be made available on the Grain & Feed Milling Technology (GFMT) website in due course. Other papers will be carried in up-coming editions of the Grain & Feed Milling Technology magazine. Perendale Publishers and Assocom-India co-hosted this event and plan to host the next 3rd Global Milling Conference in India in September 2015. The organisers would like to express their thanks to all the speakers and sponsors, including our main sponsor VIV India, for their support in making this a successful event! Calling all British exhibitors and visitors to the up-coming VIV India exhibition and the 2nd Global Milling Conference, both being held in Bangalore next week. The British High Commission in India is arranging a ‘networking reception’ for British exhibitors and visitors on the evening of April 24, 2014 in Bangalore – contact UKTag for more details on: exportsuktag@gmail.com. The 2nd Global Milling Conference is being held in the Movenpick Hotel and Spa, Bangalore from April 23-24, 2014. Registration can be made at: http://assocom-india.com/gmc/index.php. GRAPAS took place last week with over 100 registered attendees in Bangkok, Thailand. Roger Gilbert, owner and publisher of the International Milling Directory again chaired the bi-annual conference. 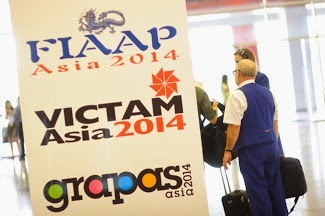 This took place alongside Victam Asia and was also the forum for the GRAPAS award. Rice, wheat and flour milling were all discussed with real enthusiasm and purpose and all reports and feedback has been very positive indeed. The programme of the recent conference is below. It is something that has been emphasised repeatedly in the series of VIV Europe Roadshows which travelled around the world to promote the main event this spring. The directors and managers of feed manufacturing companies that attended these Roadshows have already made plans to attend the show in May, because of its strong feed flavour. “We primarily aim to be a platform for all of the leading technology and know-how in the field of animal protein production in growth countries that currently have the greatest need for this. In addition, we of course also focus our range of solutions on major European countries and the United States in order to achieve even more innovative and higher quality livestock, meat and egg production systems in those countries – all of course with clear preconditions for sustainability because the world has now discovered that intensification has to be sustainable. This is something we are already seeing in the far afield countries, where there is more interest in animal welfare and food safety than you may imagine. Meeting the growing need for animal protein products is not just simply a case of even bigger and more intensive. Attending VIV Europe is free upon registration. Please click here for your free ticket.